Shopping for a mortgage loan? We will be glad to help! Call us at (920) 674-5542. Ready to begin? Apply Now. There is little question that getting a mortgage loan is a complicated process. You wouldn't be researching mortgage loans if you could get a mortgage loan in one day with a simple application. But County-City Credit Union does the heavy lifting so you can concentrate on your life rather than the mortgage loan. This is where County-City Credit Union can start saving you money. You will give us details about your employment, assets, and your residence history. You'll provide your employment, asset, and residence history information. We will pull get your credit report and score (only after you give your permission. We will go over all this info then will give you a letter of pre-qualification. Handle it with care — it is a great tool for buying your new home! With this letter, your real estate agent will negotiate the best deal for your new home. While you're picking out the home that's right for you, we are finding the loan that best fits your needs. 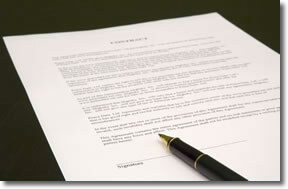 Once you have made an offer and the sellers have accepted, you should apply for the loan. It couldn't be easier, and you can do it online, right here on our website. After the seller has accepted your offer and you have applied for your loan, we'll order a professional appraisal on the home. Your real estate agent and the seller's will work together to find an escrow/title company to take care of the funding of your loan. We'll work with this company to make sure all the papers your lender will need are available, and you'll probably}likely sign all these papers at this company's officeWe coordinate with this company on your closing date. Because you won't have to worry about these details, you can think about the move, paint colors, carpet, and the fun parts of getting your new house. You've answered some few questions, provided detailed information, applied , and the next thing you know, you're moving in! We take care of the mortgage legwork so you can spend your time finding the new home that's right for you. Have questions about the loan process? Call County-City Credit Union at (920) 674-5542. It's our job to answer lending questions, so we're happy to help!